The Norman Lindsay Facsimile Etching print titled Temptress, was released in 2001, the image size is 11.3 x 7.2 cm, it was part of group that Norman did with etchings titled Who Follows, Delight and Coquette. Lindsay Temptress at Etching House. Norman Lindsay art on Lay Buy at Etching House. 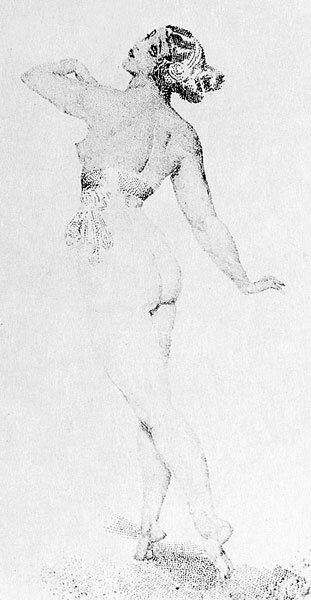 Reference Norman Lindsay Etchings: Catalogue Raisonné 2006, cat.136) Rose was the model.